It is the night of 23 November 1999, and the city of Florence is in ecstasy. The city’s football club, Associazione Calcio Fiorentina, has just defeated Manchester United 2-0 at the Stadio Artemio Franchi in the second group stage of the Champions League. It is a Manchester United team that only months before had lifted the trophy as part of a historic treble, but were now humbled by a Fiorentina side completely new to the upper echelons of European competition. 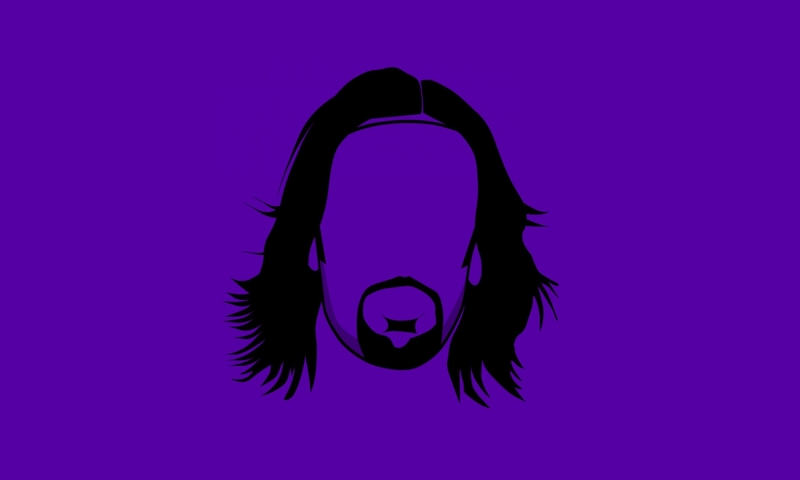 It seemed a glorious time to be a Viola supporter. The emphatic super-manager Giovanni Trapattoni strutted up and down the touchline whistling orders and marshalling players, while captain and fan favourite Gabriel Batistuta scored almost at will, registering over 20 goals for a third season in a row. Italian film mogul and owner Vittorio Cecchi Gori had bought this assortment of world-class football minds to mount another title challenge off the back of a very successful 1998/99 season and nothing seemed to be standing in Fiorentina’s way. All looked well and promising in the cathedral-ridden provincial capital of Tuscany, but looks can be deceiving. In a little over two years, AC Fiorentina would cease to exist. Bankrupted and immersed in scandal, the club would be reborn in Serie C2 under a new name, with new owners, and would have to work its way back up the ranks. It was a steep and astonishing fall, its story marred with all the prerequisites of Shakespearian tragedy and littered with the most painful things in football: abandoned expectations. It was May 1990 and there were riots in the streets of Florence. Two back-to-back humiliations had drawn rabid fans into mobs and put the final nail in the coffin of Flavio Pontello’s era as owner of AC Fiorentina. First, the controversial loss in the UEFA Cup final to bitter rivals Juventus dashed hopes of ending a relegation-fraught season on a high note. The second was far worse. Only two days after the loss, Pontello, forced by the club’s precarious financial situation, sold Fiorentina’s star player and Italy hero Roberto Baggio to Juventus for a world-record transfer fee. It was salt in a very fresh wound. The city was outraged; fans took to the streets calling for Pontello to sell the club and to step down as president. Fearing for his safety, and unable to carry the debt, Pontello sold the club to Italian film giant Mario Cecchi Gori. Cecchi Gori was received as a saviour in Florence. A well-known and successful film producer with a cool head for business, his affluence helped stabilize the club during his short reign. He also brought talent back to the side, overseeing the signing of top players like Stefan Effenberg, assist-wizard Francesco Baiano and, most importantly, Batigol. The Argentine would prove vital to Fiorentina’s success during the 1990s and would arguably go down as La Viola’s greatest ever player, becoming their all-time leading scorer and even having a 10ft tall bronze statue erected in front of Fiorentina’s home ground while he was still a player. The two-and-a-half seasons that Cecchi Gori resided over the club were ones of consistency and development. Fiorentina finished 12th in 1991 and ‘92, far from the familiar relegation struggles but just as far from a title challenge. They switched management twice during that time and introduced a stream of new players, but eventually they managed to find their feet with a solid start to the 1992/93 season. At the turn of the year, though, that progress would be stifled as an ailing Cecchi Gori decided he could no longer run the club and handed over the reins to his only son and business partner, Vittorio. “Take care of Vittorio,” his dying father said to TV mogul and friend Silvio Berlusconi before his fortune was inevitably passed down. “He is so impulsive and naive.” Vittorio did little to prove his father’s opinion of him wrong. His first major decision in charge of the club was to fire manager Luigi Radice after a disagreement following a 1-0 loss to Atalanta. Vittorio appointed former Fiorentina manager Aldo Agroppi in his place and their season took a nosedive. Under Agroppi they managed to score just 15 goals in their remaining 21 games and found themselves relegated on goal difference at the end of the season. Humiliated, Vittorio fired Agroppi and hired Claudio Ranieri for the 1993/94 season. Ranieri had made a name for himself in the late-80s by winning promotion to Serie A with a Cagliari side from all the way down in Serie C1, and was seen as a relegation specialist. The team cut Serie B apart that season. They lost just five of their 38 games, scoring 53 goals and conceding only 19. The club had managed to keep most of their Serie A squad intact thanks to the money from Vittorio Cecchi Gori’s newly acquired film empire, and most importantly, they had kept Batistuta. The striker turned down numerous offers from bigger clubs to score 16 league goals that season, helping lead Fiorentina back to Serie A. The 1994/95 season saw Fiorentina launch themselves back up Serie A’s table to 10th place; a modest finish, but the club showed signs of what was to come. Ranieri built the foundations of Fiorentina’s future success that season, centring his team around Batistuta who flourished in Ranieri’s pragmatic 4-3-3, becoming the top scorer in Serie A with 26 goals. It was the next season that saw Fiorentina finally win silverware. 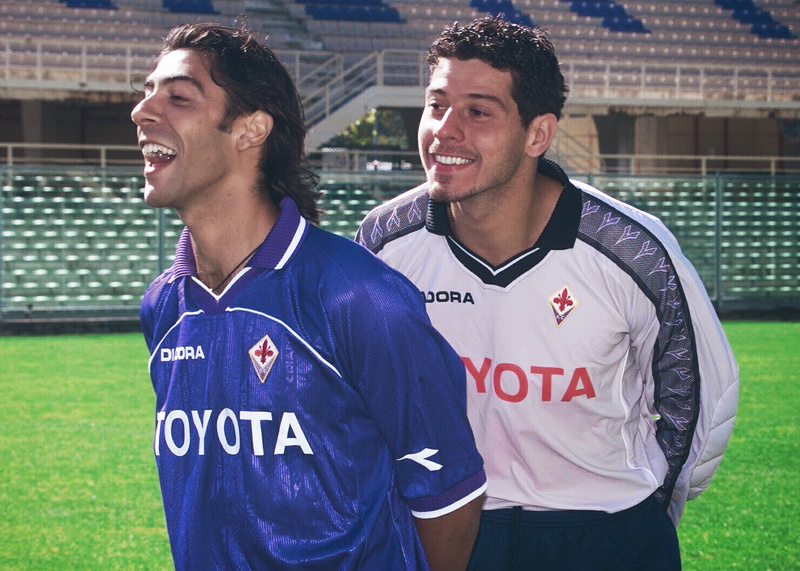 With newly acquired players Luís Oliveira and Rui Costa, Fiorentina became a force to be reckoned with. The club won the 1996 Coppa Italia and became the first non-league winners to win the Supercoppa Italia, defeating scudetto champions AC Milan 2-1 in the final. Spirits were high in the Viola camp; the club had just won its first trophy in 20 years and was playing attractive football with a genuine superstar up front. Nobody thought to question the leadership of Cecchi Gori now that the club was finally starting to play well. But, on closer inspection, things were starting to unravel in his empire. When Vittoria Cecchi Gori inherited his father’s fortune and famous production company, he ambitiously sought to grow it. In 1995 he attempted to break up Italy’s television duopoly of the broadcasters RAI and Fininvest by buying and investing in lowly competitors Telemontecarlo and Videomusic, an Italian spin-off of MTV. After investing millions and failing to acquire the rights to televise Serie A, ratings hit an all-time low and the never profitable channels were sold off for a huge loss. On top of that, in 1999 Cecchi Gori was on the losing side of a nasty and public divorce from his estranged wife, singer/actress turned film producer Rita Rusic. The case settled for over $100 million and hurled Vittorio Cecchi Gori into seismic debt. However, over at the Stadio Artemio Franchi, the grass was never greener. In 1998 famed Italian manager Giovanni Trapattoni arrived from Bayern Munich to guide Fiorentina to its first real title challenge in decades. The team finished third but secured Champions League qualification and progressed to the knockout stages in the following year’s competition. The end of the 1999/2000 season saw Trapattoni leave to coach the Italian national team, but more significantly the departure of Batistuta to Roma. The move had been a long time coming as Batistuta sought the Scudetto that had eluded him for years, but even the loss of Fiorentina’s greatest player couldn’t stop them from winning their sixth Coppa Italia in 2001, with a young Roberto Mancini at the helm. It would take something of a modern-day catastrophe to derail the Fiorentina side that two generations of Cecchi Gori’s had built, but when that catastrophe finally did come, it would wash 75 years of club history straight down the Arno. In June 2001, the money, or lack of it, finally caught up with Fiorentina. The club revealed its $50m debt, failing to pay its players’ wages and entering administration, forcing them to sell most of their starting 11. As a result, La Viola were relegated to Serie B in 2002 and forced to file for bankruptcy. However, because of the severity of the bankruptcy, and Cecchi Gori’s failure to secure the necessary capital, they were refused a spot in the league and liquidated, effectively ceasing to exist by July. A year prior to Fiorentina’s brief extinction in July 2002, Cecchi Gori found himself in his own catastrophe. After the club’s financial troubles were made public earlier in the summer of 2001, he came under investigation for abetting money laundering by Rome’s public prosecutor’s office. On 5 July, police raided Cecchi Gori’s home in Rome’s ultra wealthy Palazzo Borghese. After an hour-and-a-half of searching, they found Cecchi Gori asleep with his girlfriend, model Valeria Marini, behind a mirrored wall that doubled as the concealed entrance to his bedroom. Upon searching the secret room for financial documents, authorities found a pile of cocaine stashed away in a safe. “Cocaine? That’s not cocaine, it’s saffron,” a red-handed Cecchi Gori famously said. Money laundering and narcotics possession wasn’t the dagger in the hearts of Fiorentina fans. No, the real blow came two months after his club declared bankruptcy, when Vittorio Cecchi Gori was placed under house arrest in connection with his newest charges: embezzlement and fraudulent bankruptcy in relation to AC Fiorentina. In 2006, Cecchi Gori was found guilty of illegally withdrawing $32m from AC Fiorentina and funneling it into his holding company, Finmavi, to help support his other business interests. In the end, Fiorentina’s greatest proprietor, responsible for funding the beautiful football played in the club’s finest hour of the modern game, would become their greatest detractor. In August 2002, after AC Fiorentina was liquidated, a new club was founded in its place. Associazione Calcio Fiorentina e Florentia Viola, or Florentia Viola for short, was granted a place in Serie C2, Italy’s fourth tier, under current owner and leather mogul Diego Della Valle. In 2003, Della Valle bought the rights to Fiorentina’s old name and badge and it became the club we know today, ACF Fiorentina. The story of AC Fiorentina is one of calcio’s most tragic. For all the trouble and humiliation caused by Vittorio Cecchi Gori’s unscrupulous rein, the team never finished higher in Serie A than their third-place finish in 1999. Their tragedy stands out alongside the likes of Leeds United, Portsmouth and many other stories of financial failure in football. Their stories, however, are ones of complacency; Fiorentina’s is one of corruption, an apothegm from a time before Financial Fair Play and strict monetary regulations, when moguls could aimlessly pump clubs full of money, toying with the hearts of fans everywhere.